In the competitive trade show environment exhibitors require something unique to stand out from the crowd to attract trade show attendees. 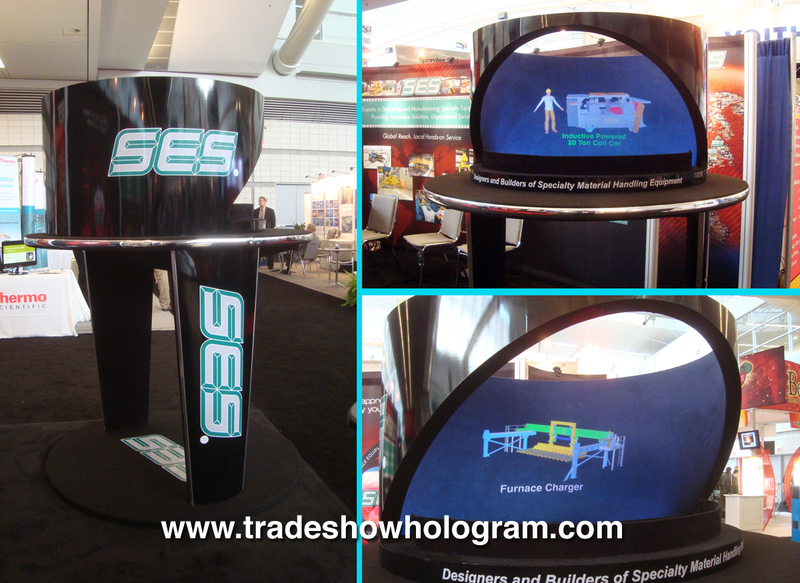 Trade Show Holograms is a company that offers rental and sales of 3D Hologram Projectors designed for the trade show market. The hologram projectors feature a fully animated holographic presentation in which the holograms appear to float in mid air. The custom presentations feature a wide range of color and audio tracks that can include narrative or even a virtual presenter. Hologram projectors attract attention to any booth as they offer a very exciting way to visually get a vendors message to a potential client. The holograms do not require the use of any 3D glasses. The 3D effect is visible to the naked eye. 3D Hologram Projectors. Moving Images float in mid air.